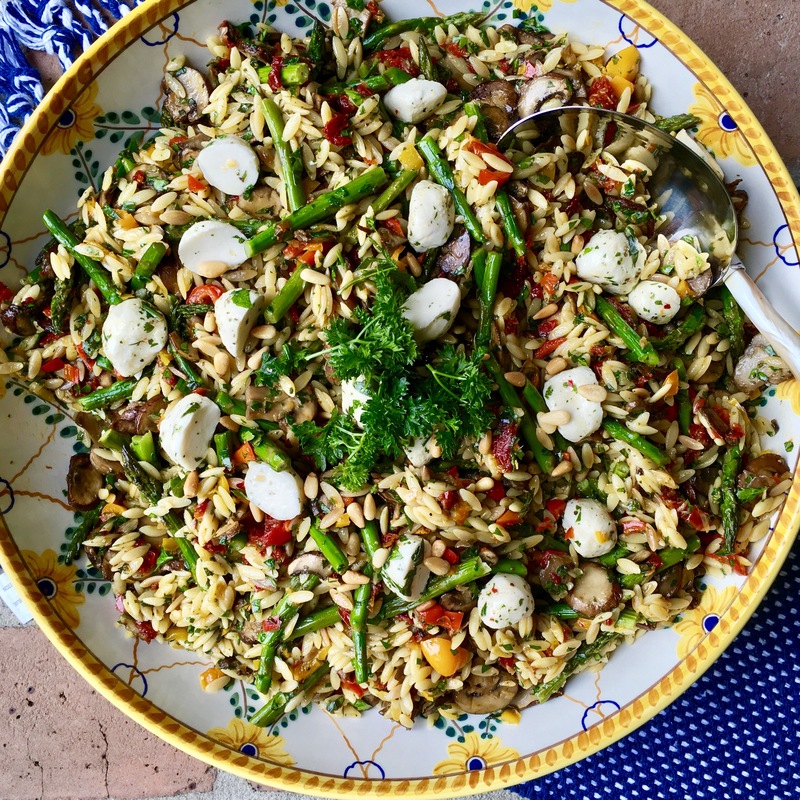 This Orzo salad that I adapted from Vanilla and Bean is a wonderful addition to a summer buffet table full of roasted vegetables and fresh herbs﻿. It is a bright and vibrant colored side dish that would complement chicken, meat or fish and full of Mediterranean flavor. I served it for the first time at my daughter’s engagement party when I served 36 and it was well received. I made a few substitutions in my version– rather than roasting cherry tomatoes, I used about a half a cup of diced sundried tomatoes and rather than feta, I used some fresh marinated mozzarella balls. I loved the technique of roasting the Orzo first which added a great toasted flavor and helped the Orzo retain its integrity in the dish. Thanks for another inspired recipe @Vanillaandbean!